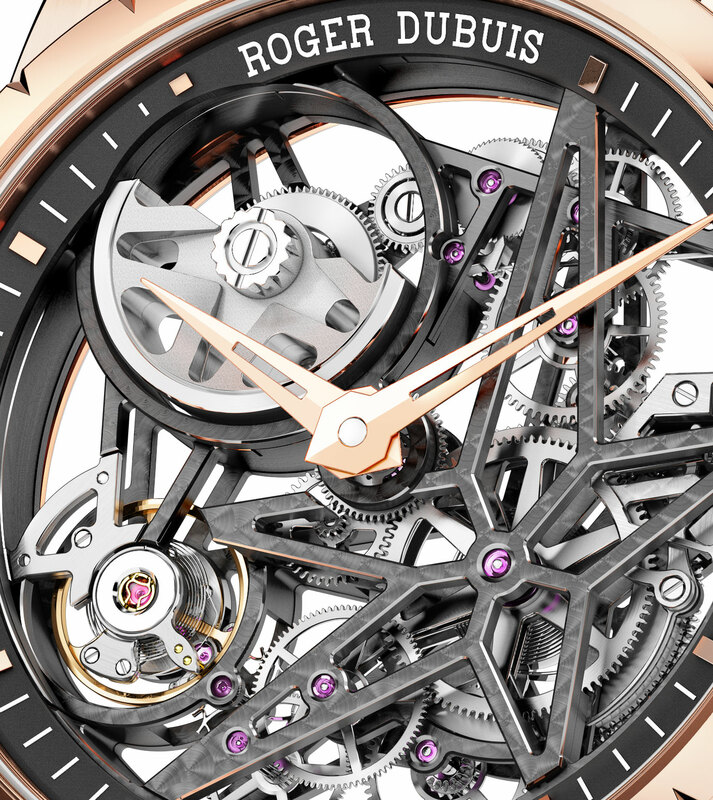 Roger Dubuis’ signature timepiece has long been its skeleton tourbillons with their distinctive star-shaped bridges. 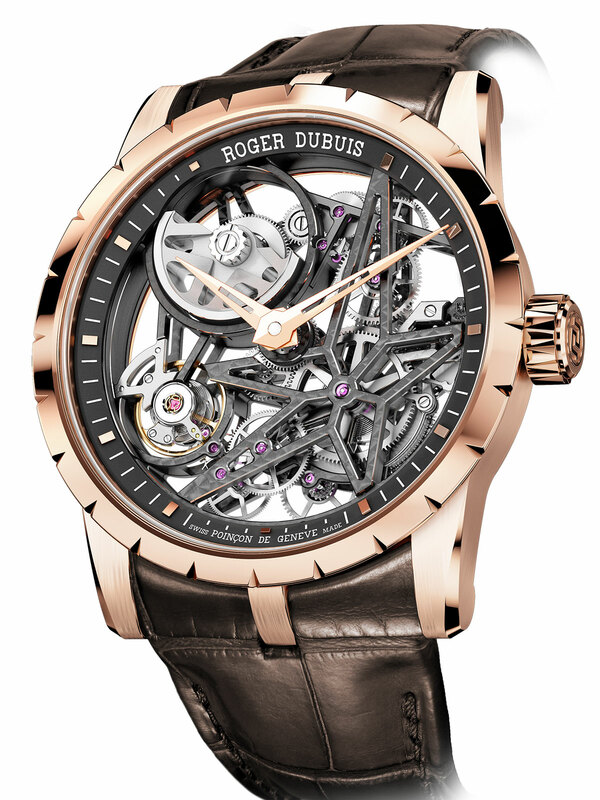 Now Roger Dubuis has applied that same look to its time-only automatic in the Excalibur Automatic Skeleton, offering the same aesthetic at a lower price. One of the key tactics in Roger Dubuis‘ product strategy is to create more accessible products in more manageable sizes. The new Excalibur Automatic Skeleton is exactly that. With a skeleton movement featuring the brand’s signature star-shaped bridge, the Excalibur Automatic Skeleton looks like the brand’s trademark skeleton tourbillon, but costs only half as much. 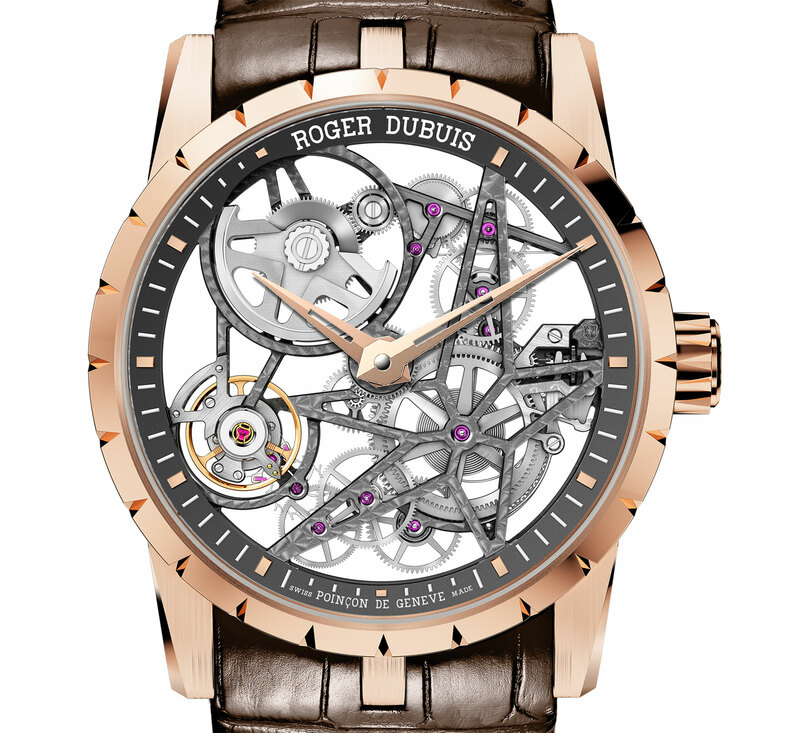 A key timepiece in the Roger Duubis SIHH 2015 line-up which is heavy on skeleton watches, the Excalibur Automatic Skeleton is equipped with the RD820SQ calibre. It possesses the same recognisable look that has made the brand’s skeleton tourbillons its top seller. The bridges are dark grey thanks to a grey rhodium coating, and decorated with perlage that catches the light just right. Shaped like a large star, the barrel bridge dominates the movement, with a the micro-rotor visible at 11 o’clock. The winding gears travel from the rotor to the mainspring between one and three o’clock. While on the other side of the dial the gear train runs from the mainspring to the balance wheel at eight o’clock. 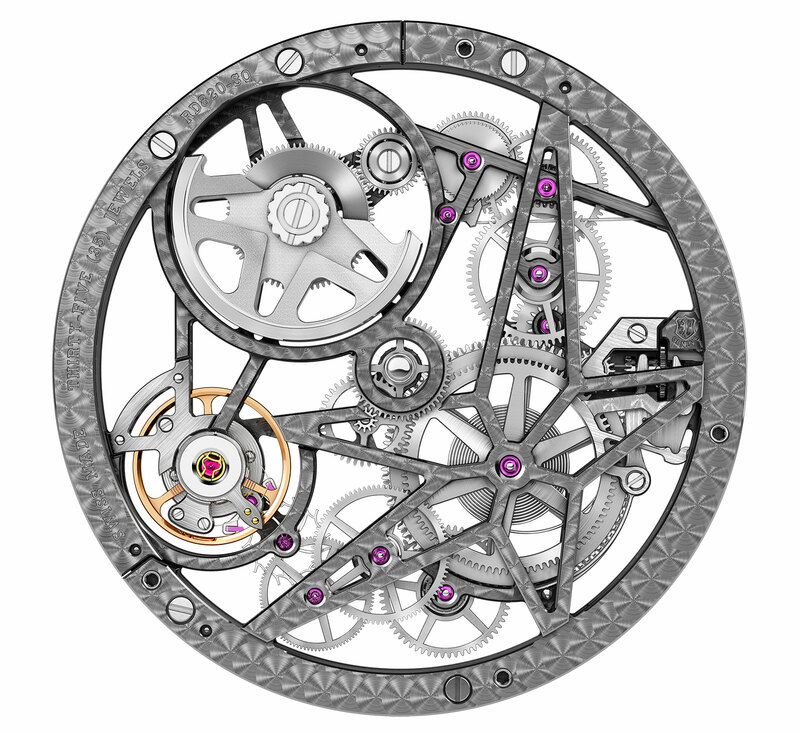 Comprised of 167 parts, the movement has a 60 hour power reserve. The Excalibur case is in pink gold with a 42 mm diameter, with the triple lugs and notched bezel characteristic of the model. The Excalibur Automatic Skeleton is priced at 104,000 Singapore dollars, or about US$83,200.